Iran’s embassy in Lebanon has firmly rejected recent claims by Lebanese politician Samir Geagea about Tehran, saying the Islamic Republic is not interfering in Lebanon’s internal affairs, including the country’s presidential election. 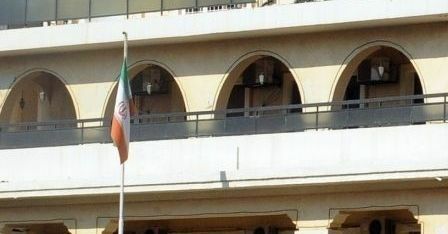 In a statement on Friday, the embassy said the Iranian envoy has made no recommendation nor has it given any piece of advice to any domestic or foreign sides including Westerners or non-Westerners about presidential candidates in Lebanon. “The Islamic Republic of Iran always regards the election of Lebanon’s president as a very domestic issue and based on its Constitution and strategic policy …, it will not interfere in this case,” it added. It warned that any foreign meddling with Lebanon’s presidential election would further complicate the issue. In a televised news conference on January 18, Geagea made a highly-anticipated announcement, saying he would endorse the candidacy of his rival Aoun, in a major boost for Hezbollah-backed FPM founder and his supporters in their bid to fill the power vacuum in the Arab country. Since May 2014, when former President Michel Sleiman ended his time in office, Lebanon has been without a president.